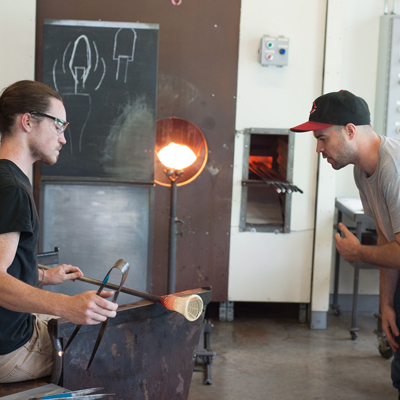 One-on-one private lessons are a great way to go if you are anxious to get started in glass right away and just can't wait to join a class. 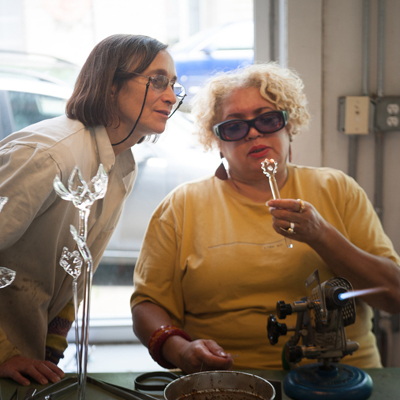 One-on-one lessons are private, personalized instruction in any aspect of studio glass art from glassblowing to beadmaking, coldworking and more. 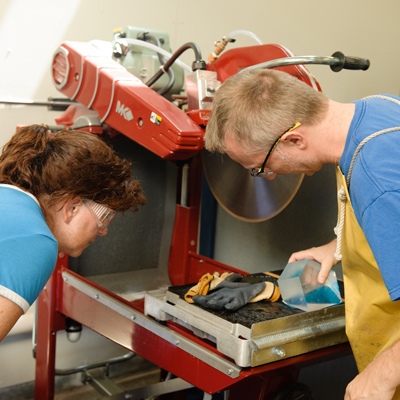 You get focused attention from our experienced instructors at your own pace. Beginners benefit by learning the basics and building a strong foundation. 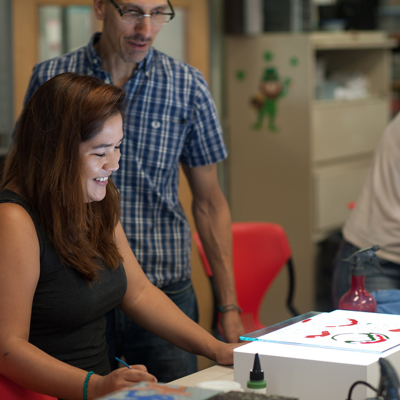 Experienced artists expand their skill set by focusing on a specific techniques.You design the program to fit your goals.